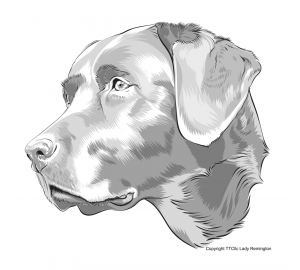 Dog Tagz are made in the USA ,and are hand crafted with lead free pewter. 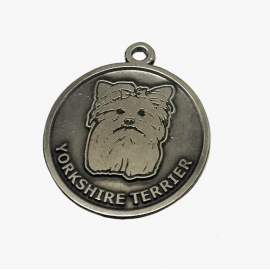 These commemorative pieces are approximately 1 1/2 inches in diameter and can be used as a key tag, and or collar and leash identification tags. Each product is individually packaged inside a polybag and would make a great gift or souvenir. Purchase one or collect all breeds, as we have many dog and cat breeds in stock. Great for kennels, shows and or other special events. 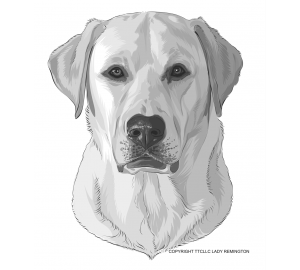 Approximate Thickness: Less than 1/4"
Breeds Available : Labrador Retriever. Golden Retriever, German Shepard, Doberman Pinscher, Beagle, Boxer, Yorkshire Terrier, Bull Dog, Poodle, Boston, Cocker Spaniel, Limited Edition: Tabby Cat. 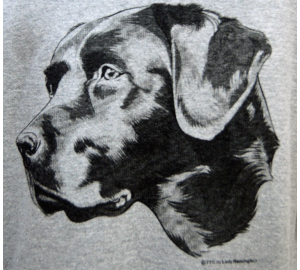 Other breeds may be available through special order ( contact customer service).